The holidays are upon us, and if you’re like many people you’re still looking for some last-minute gifts to complete your shopping. Most likely, you have some cannabis-loving friends and family members who would love something cannabis related, but you’re just not certain what to buy them. 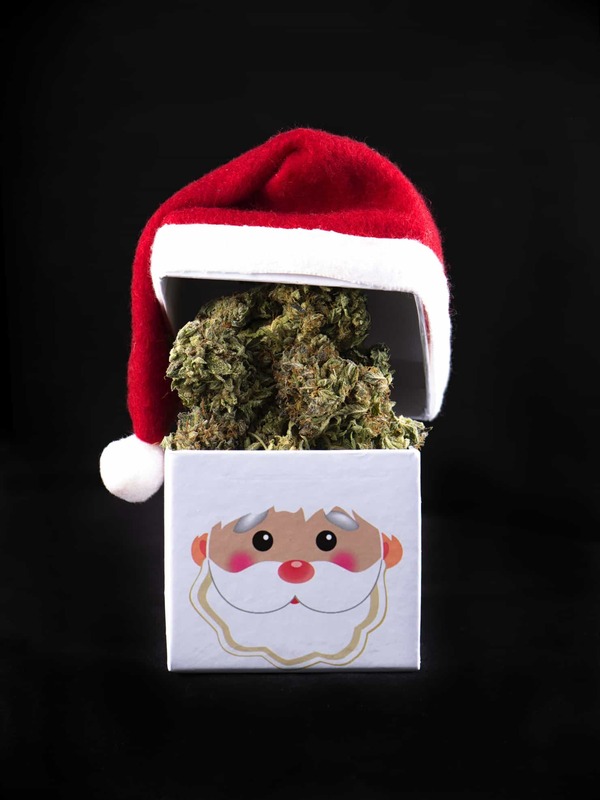 Let’s examine some great holiday gift ideas that should be available at your local dispensary. We’ll explore several options in two price-point categories that should give you plenty to consider when making your gift purchases. Both price points include great gift ideas for those people you know who have been mostly nice rather than naughty this past year, with the higher-priced gifts reserved for those super-nice friends and loved ones. A useful first step is considering the cannabis preferences of your gift recipient(s). The following information will be useful when selecting the perfect gift. Does the person you’re buying gifts for prefer indica or sativa strains? Do they prefer to vape concentrates or smoke flower? Do they like edibles? What do they most often use as a smoking device? There are numerous gifts in the $20-$50 price range. Do some shopping around and consider various deals in your area. Most cities with dispensaries that sell legal medical and/or adult-use cannabis place ads in local publications. These ads almost always promote their special offers and discount deals for that week or month. Typical ads will list discount promotions on flower or concentrates. Since the cannabis industry is becoming increasingly competitive, some of these deals are for products priced to move. This isn’t to say that the products are inferior because they’re less expensive than the norm. Many dispensaries are trying to move inventory to make room for new product due to arrive. For instance, a dispensary may be part of a business model that’s vertically integrated and has its own cultivation operation. In order to make room for a great harvest of Bubba Kush, it may have to sell off its inventory of Candyland. The discounts offered for various weight increments varying from ounces to quarter ounces can be quite enticing. Staying consistent with the flower gift idea, pre-rolls can make excellent gifts. Often, they come in attractive packaging like oblong boxes that identify the strain contained inside. A strain-specific pre-roll or two will most likely be one of the first holiday gifts your cannabis-loving friend or family member enjoys. They can break it out of the box and light it up on the spot—and the party begins right there! Just about every cannabis lover appreciates a good piece of glass, and there are numerous glass pipes available in a variety of attractive designs. Glass ensures a clean smoking experience and usually tastes better than smoking from a pipe constructed of other materials. Don’t forget to include some screens! Just about everyone who enjoys cannabis loves these popular devices. If you shop around for oil cartridge deals, a good battery-and-cartridge combo will come in at well under the $50 mark. The excellent flavor and potency of these pens is enjoyed by young and old cannabis consumers alike. People love them for their portability and handy size—they fit easily into just about any pocket or purse. In addition, they’re discreet and allow easy use, emitting vapor that’s not nearly as pungent and noticeable as smoke from a pipe or joint. There are numerous forms of concentrates on the market these days, and they’re very popular—particularly with millennials and Generation Z consumers A nice gram of bubble hash, shatter, wax, crumble, or a vial of oil makes an excellent holiday gift for those on your gift list who prefer a strong cannabis experience. A dab nail is the instrument of choice for many who enjoy concentrates. Titanium is the best material for a high-quality nail, and there are a variety of them on the market. Some of the finer titanium nails will approach the $50 ceiling for this gift category, but the quality and durability will be superior to other models. Some of the best dab straws, like the Honey Dabber, fall comfortably below $50. The Honey Dabber II™ has a patent-pending design that allows users to put it away hot without the risk of burns. The top-of-the-line dab straw falls well below $50, and a gram or half-gram of concentrates makes a great addition for a combined gift. A stainless-steel dab tool also makes a great addition to accompany this gift. A clothing gift with a cannabis theme makes an ideal gift for cannabis enthusiasts. Many dispensaries offer a variety of branded shirts, caps, and other clothing items. Another cannabis-related textile gift idea is clothing made of hemp. There are numerous products on the market that are constructed of hemp fiber. In addition to hemp clothing, hemp purses and wallets make excellent gifts. Special people in your life deserve special gifts that sell at a higher price point. High-end glass products can cost well above $100, but there are definitely high-quality glass items that won’t break the $100 glass ceiling of your gift-buying budget. Glass and ceramic bongs usually are large in size, and some of them can be downright elaborate, with multiple tubes and chambers. Glass bongs are especially desirable and make great conversation pieces whenever friends gather for a cannabis session. Regardless of whether the carburetor is a manual or slide design, bongs in this price range promise to be showy and impressive, and one of these beauties is sure to impress even the ficklest person on your cannabis gift-buying list. Just like a glass bong, a large, showy, glass dab rig is a special high-end gift. The lucky recipient of a high-end dab rig should be a confirmed concentrates connoisseur who will only settle for the best. For certain lovers of flower and concentrates, it’s all about the terpene experience, and nothing provides a cleaner terpene experience than a nice glass bong or dab rig. The unique flavors of the plant really shine through with these devices. One of the most fun cannabis gifts reflects both the generosity and creativity of the gift giver. Combination gifts allow you to gather several affordable items into one gift basket or bag for a dramatic and inclusive gift presentation. The array of gift products to combine is only limited by the imagination of the gift giver. A nice bong accompanied by a quarter- or half-ounce of flower and a gram of bubble hash as a bowl topper, or a dab rig combined with a dab tool, torch, and a gram of shatter, are just two solid gift ideas. The assortment of diverse cannabis gifts is at an all-time high. As the legalization of medical and recreational, adult-use cannabis continues to rise nationwide, personal freedoms and new products continue to increase as well. This holiday season, your gift-buying options are vast when it comes to the choices available.